This is my entry for the BQF. 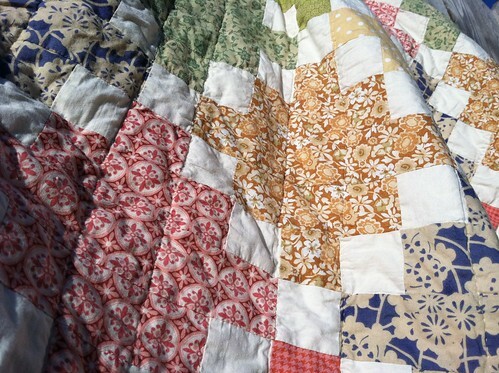 I love this quilt because it was the first one I completed start to finish without months of breaks in between. Since I made this quilt in January of this year I have been sewing continuously without long breaks in between projects. 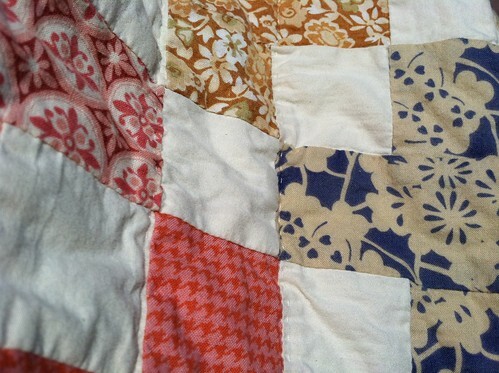 I have met friends, completed a lot of projects, and have reclaimed my passion for the art form because of this quilt. This quilt is unlike any quilt I have done before or since in that it is put together in strips, one strip at a time to makes the design, requiring lots of planning that I usually don't do. 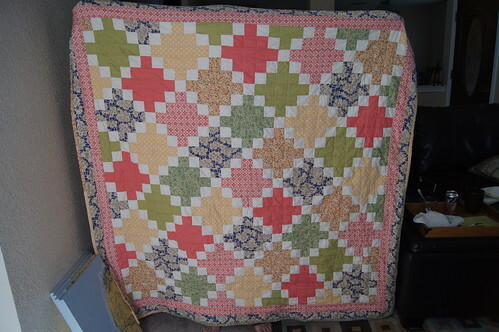 This one is also hand quilted. I should plan more when I do layouts and designs. I have always admired the rainbow quilts and the warm cool quilts, just because you know what it will look like before you make it. I sort of just go with it and every time I finish a top it's a surprise to me. Maybe I like it that way...Maybe I should plan one and see if I like it better that way. We will see. Wonderful choice of colors and a great simple design! 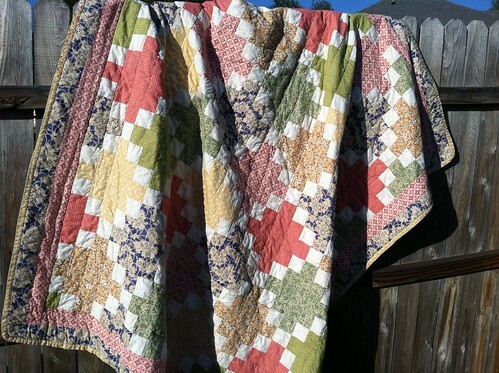 And hand quilted?? *Love*!!! It's not done often enough in my opinion! Great design and beautiful colors, just lovely. And your stitching is fabulous! Wonderful! I love that pattern and the colors you chose, especially like the addition of the coral.